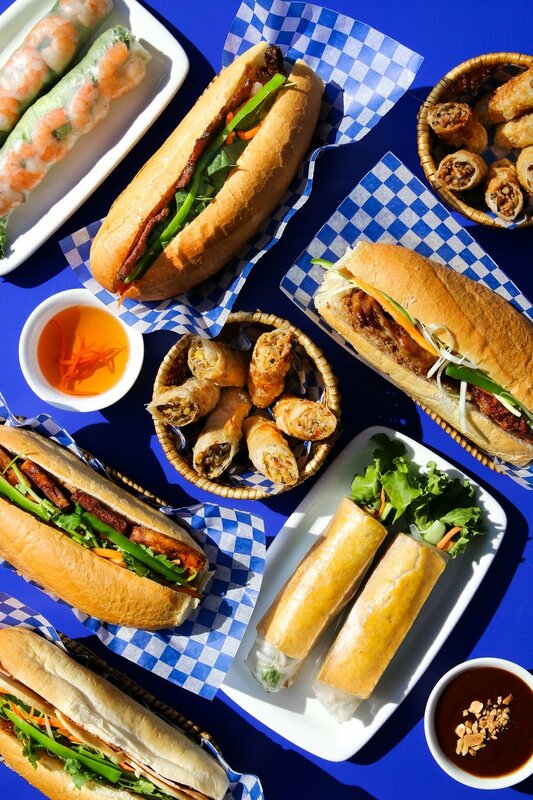 Visitors and locals alike can savour the authentic flavours of Vietnamese cuisine when NaMì food cart rolls into its new home at 700 Granville Street (corner of West Georgia and Granville) in the heart of downtown Vancouver beginning Tuesday, April 23. The brainchild of foodie, entrepreneur and recent UBC graduate Kevin Thach — who grew up learning the ins and outs of the restaurant industry at his parents’ award-winning Phở Thai Hoa 1 Vietnamese restaurant at 1625 Kingsway — NaMì offers a variety of grab-and-go Vietnamese fare seven days a week from 10 a.m. to 3 p.m.
To celebrate its launch, the first 50 customers to welcome NaMì to its new home during its inaugural service on April 23 will receive a free bánh mì. The cart will also be serving up a special $5 bánh mì throughout the first week of service, April 23 to 28. 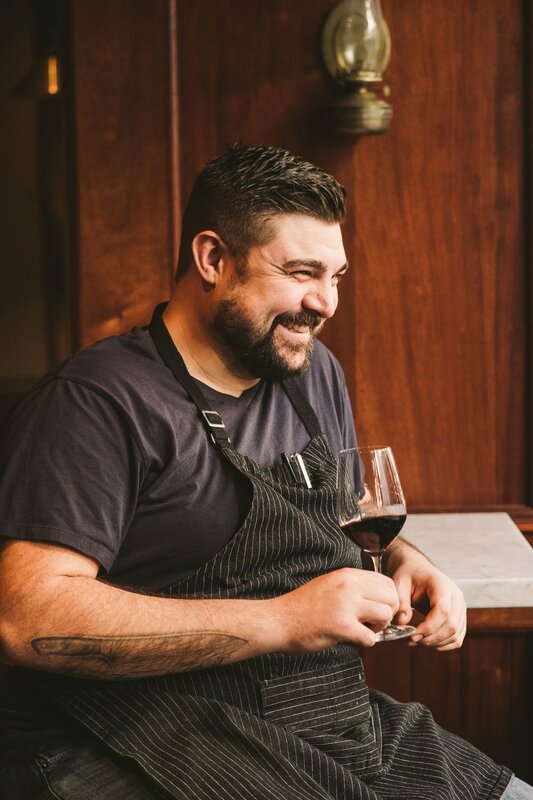 The Salted Vine Kitchen + Bar Chef/Co-Owner Jeff Park will pair his signature brand of Pacific Northwest-inspired cuisine with an array of notable British Columbian wine when the downtown Squamish restaurant hosts an exclusive 'Wines of BC' dinner on Thursday, May 2. The dinner begins at 6:30 p.m. with a reception featuring canapés and glasses of Steller’s Jay Brut before Salted Vine Sommelier/Co-Owner Pat Allan showcases varietals from such award-winning producers as Inniskillin Estate Winery, Sunrock Vineyards and See Ya Later Ranchthroughout the multi-course dinner. For tickets to the Wines of BC Dinner on Thursday, May 2, call the restaurant at 604-390-1910. 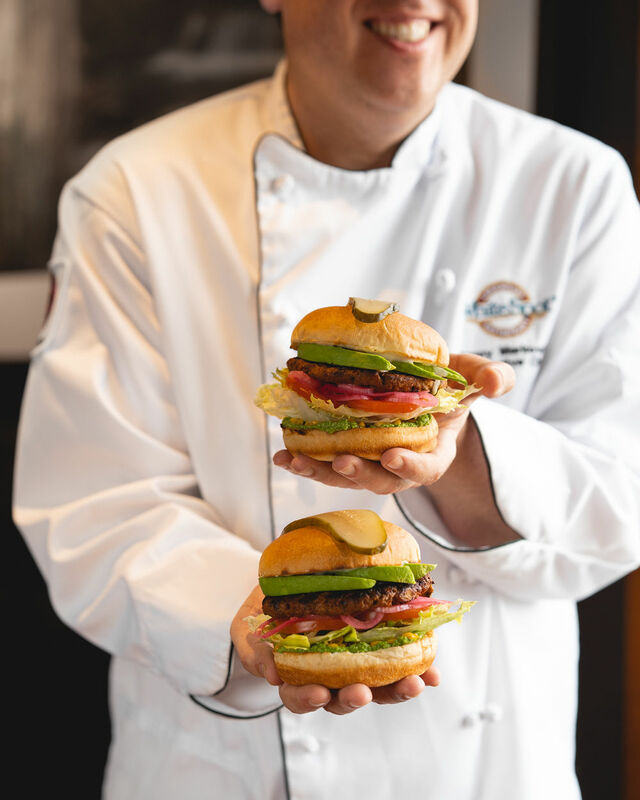 Beloved BC restaurant chain White Spot is inviting Vancouver burger lovers to join them in celebrating the addition of the 100%-plant-based Beyond Burger® patty to its menu by giving away 300 FREE Avocado Beyond Burgers™ (limit one per person) from its food truck parked at the EasyPark parking lot at the corner of Cambie and West Georgia (688 Cambie Street) starting at 11 a.m. today. Beloved BC restaurant chain White Spot is going above and Beyond to give its guests even more variety this spring by adding the 100%-plant-based Beyond Burger® patty to its menu of mouthwatering signature burgers and entrées beginning Monday, April 15. Available at all full-service White Spot restaurants in BC and Alberta, the hearty four-ounce chargrilled Beyond Meat patty will be showcased in the new Avocado Beyond Burger™. The fully-composed burger features fresh avocado, pickled onions, roasted corn, crisp lettuce, vine-ripened tomatoes, jalapeño ranch and edamame hummus, and is served with a choice of Caesar salad, The Spot’s salad, or creamy coleslaw and ‘endless’ signature Kennebec fries. Italian caffè-all-day, ristorante-by-night Di Beppe will pay homage to its roots by hosting a Tuscan-inspired ‘Festa della Polenta’ dinner at the Gastown restaurant on Sunday, April 28 with two seatings offered at 5 and 8 p.m. The origins of the event date back to the 16th Century when members of the nobility offered polenta to hungry townspeople to help counter a famine that was ravaging the region of Tuscany. The gesture grew into a time-honoured annual communal feast that continues throughout many towns in Italy to this day. Tickets to Di Beppe’s communal ‘Festa della Polenta’ dinner with seatings at 5 and 8 p.m. are available for $79 per person plus tax and gratuity and may be purchased online. The bird’s the word this Easter as Juke Fried Chicken brings back their popular Turducken Feast for pick-up exclusively at their Little Juke location (1074 Davie Street) on Saturday, April 20 and Sunday, April 21. Juke’s Easter Turducken Feast feeds six to eight people and includes pre-sliced turducken — a three-in-one showstopper featuring roasted turkey, duck and chicken — accompanied by large sides of fried Brussels sprouts, herb-roasted potatoes, fennel pork and pistachio stuffing, Cacio E Pepe fried cauliflower, and country biscuits with whipped schmaltz as well as a nostalgic package of marshmallow Peeps. Feasts are available for $169 plus tax and can be ordered by emailing info@jukefriedchicken.com before noon on Wednesday, April 17. 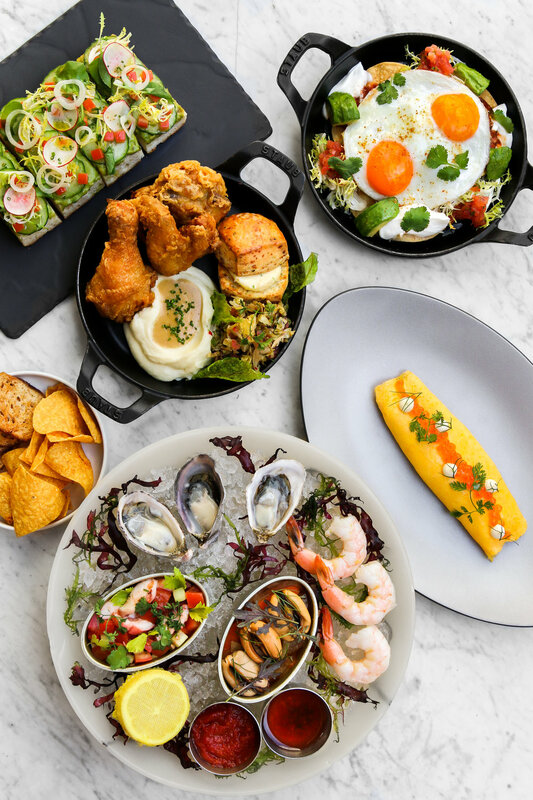 The exceptional service, cuisine and style of Boulevard Kitchen & Oyster Bar will be on full display when the award-winning restaurant hosts exclusive Easter brunch and dinner services on Sunday, April 21. Boulevard’s Easter Brunch Buffet is available from 10 a.m. to 3 p.m. for $88 per person (or $49 for children ages three to 12) and offers: house-baked pastries; a variety of fresh fruit and salads; charcuterie and cheese; eggs Benedict and Nutella French toast; an array of fresh seafood such as West Coast oysters, smoked sablefish clam chowder and West Coast paella; carving stations featuring roasted leg of lamb and porchetta; and a selection of desserts from Executive Pastry Chef Kenta Takahashi. Reservations can be made by calling the restaurant at 604-642-2900 or by booking online. Up and at ’em! 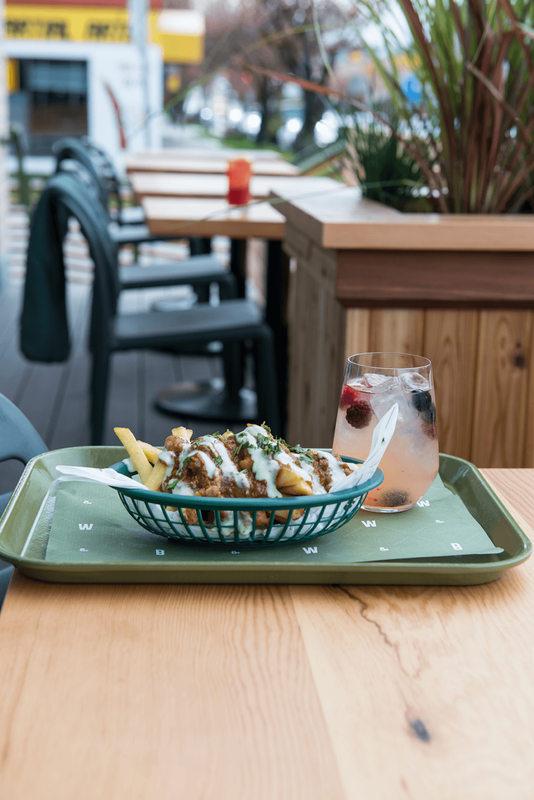 The Salted Vine Kitchen + Bar is reintroducing its popular Sunday brunch service at the downtown Squamish hotspot starting Easter Sunday, April 21 and continuing every weekend throughout the summer. Available from 10 a.m. to 2 p.m. every Sunday as a complement to its regular happy hour and dinner service Wednesday through Sunday, the brunch services offer locals and visitors alike a range of signature Salted Vine dishes including three varieties of eggs Benedict (Kasseler ham, tomato and avocado, smoked salmon), lemon ricotta pancakes, croque madame, fresh fruit + yogurt, and ‘Eggs in Purgatory’. Reservations for Easter brunch (April 21) and ongoing Sunday brunch services can be made online or by calling the restaurant at 604-390-1910. Richmond restaurant, café and art gallery Origo Club will give oenophiles a unique opportunity to showcase prized French vintages from their own cellars when it hosts an ultra-exclusive ‘Paulée’-styled Grand Cru Burgundy Dinner on Friday, April 5. Beginning at 6:30 p.m., each guest will bring a bottle of Grand Cru Burgundy to be shared among their fellow connoisseurs and break bread during a seven-course, French-inspired dinner prepared by Head Chef David Pan that includes such highlights as huîtres avec caviar et perle de kalamansi, homard à la crème de morilles avec beurre yuzu and filet mignon avec truffe, foie gras, épinards et pralines. Tickets to Origo Club’s Paulée Grand Cru Burgundy Dinner are available for $300 per person including tax and gratuity and can be purchased online. Cibo Trattoria General Manager Murray Saunders and Executive Chef Curtis Luk will preside over an exclusive trio of wine dinners showcasing the unique wine-growing regions of Italy at the downtown restaurant throughout spring and summer. Each of the three events highlight wines selected by Saunders, who will welcome special guest speakers to provide a casual, informative overview of the wines and a spirit of conviviality while guests enjoy a communal, multi-course menu featuring Luk’s signature brand of rustic Italian-inspired cuisine for $89 per person plus tax and gratuity. Tickets to each of Cibo Trattoria’s three communal Italian wine dinners on April 25, May 23 and June 27 are available for $89 per person plus tax and gratuity and may be purchased online. Spring has sprung at Railtown Catering as the award-winning catering company announces the return of its perennially popular Easter To-Go packages, available for pickup or delivery on Sunday, April 21 and Monday, April 22. Perfect for intimate family dinners and larger gatherings, Railtown’s hassle-free Easter To-Go packages are fully cooked and ready to heat and serve. Each Easter feast includes a full-sized honey-glazed bone-in ham accompanied by artisanal salads, house-made breads and an array of seasonal side dishes, including scalloped potatoes with gruyère cheese, braised red cabbage and roasted root vegetables. Railtown Catering’s Easter To-Go packages may be ordered online or by phone at 604-568-8811. All orders must be placed by 12 p.m. on Wednesday, April 17. Chef Alessandro Vianello has joined the back-of-house team at Gastown cocktail-and-comfort-food destination Pourhouse as Executive Chef and affixed his stamp on the menu by unveiling a new lineup of classic, refined dishes available from 5 p.m. to close seven days a week. Vianello’s new menu offers a range of share plates and cocktail-friendly fare such as oysters Rockefeller (butter and herbs, wilted spinach), roasted bone marrow (apricot & bourbon jam, parsley, pickled shallot, grilled sourdough), and the Prohibition-era-classic chicken à la Maryland(fried buttermilk chicken, mustard cream, cheese grits, braised greens), as well as re-imagined Pourhouse favourites such as the scotch egg (spicy mayonnaise), devils on horseback (dates stuffed with Gruyère and wrapped in bacon, housemade bbq sauce) and the signature Pourhouse burger, which is now bolstered by the addition of dry aged Cache Creek beef and add-ons such as foie gras, crispy chicken skin and a fried egg. Recently opened organic, family focused bakery and restaurant Ubuntu Canteen will bolster its weekly service to include a series of monthly events that underscore its mission to cultivate a sense of community in the heart of Vancouver’s Fraserhood and beyond beginning this April. Ubuntu Canteen is the latest project for celebrated chef and owner David Gunawan, who began his culinary career in Vancouver at such award-winning restaurants as West, Maenam and Wildebeest before launching South Granville farm-to-table staple Farmer’s Apprentice in 2013 and the city’s first all-natural wine bar Grapes & Soda in 2015. While Ubuntu exudes a more casual, approachable focus in terms of menu, service and atmosphere, all three establishments share a common bond in Gunawan’s innovative, artisanal culinary approach and steadfast support of local farms, pastures and providers. Juke Fried Chicken and Eat North will join forces and light up the night when they co-host ‘Southern Pride Chicken,’ a special evening offshoot of the popular Drags Benny series of pop-up events in support of Canadian Pride initiatives, at Juke’s Chinatown location on Friday, April 12. Beginning at 10 p.m., Juke’s Southern Pride Chicken event offers guests two drinks, canapés and a three-course family style feast featuring Juke’s signature Southern-inspired fare as well as a series of drag queen performances by Vancouver’s Kendall Gender and Calgary’s Perla Coddington. Tickets to Juke’s Southern Pride Chicken fundraiser are available for $59 per person including tax and gratuity and can be purchased online. Ancora Waterfront Dining and Patio Executive Chef Ricardo Valverde and his kitchen team will showcase the bounty of fresh-caught seafood available to the West Coast when they bring back Ancora’s popular Pescatarian Tasting Menu, available Sunday through Thursday in the month of April. Offered at both Ancora’s original False Creek and new Ambleside locations, the Pescatarian Tasting menu offers seafood aficionados a taste of the West Coast’s best seafood as well as Valverde’s signature Peruvian-Japanese ‘Nikkei’ flair in such dishes as spiced squid causa, Canadian shrimp risotto and aji panca-glazed sablefish. 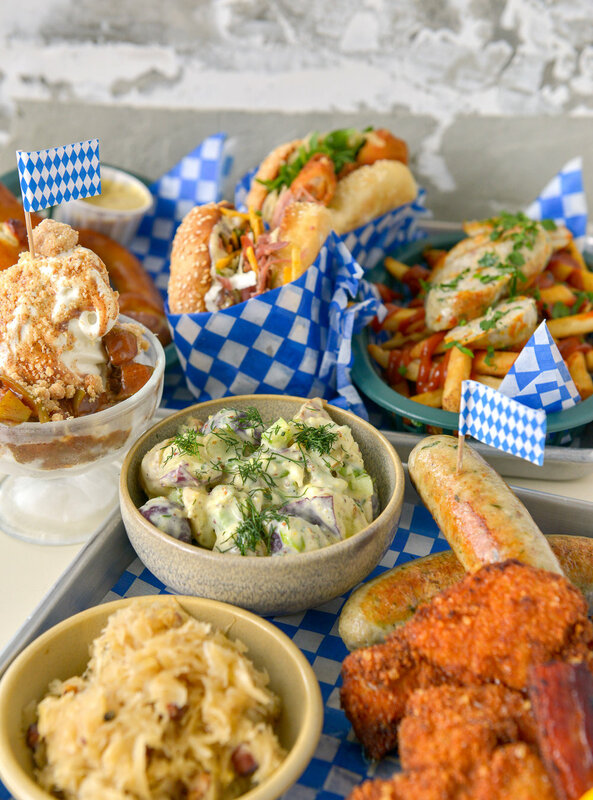 Bells and Whistles is marking the arrival of spring by dropping a new menu of snacks, sandwiches and soft-serve sundaes as well as a refreshed core list of local craft beer on tap now available for lunch, dinner and weekend brunch at the Fraserhood hotspot. Leading the charge is Bells and Whistles’ signature chicken & waffle poutine (waffle-cut fries, fried chicken, cheese curds, scratch-made chicken gravy and maple-parmesan crunch) that recently won the People’s Choice Award for Vancouver during the cross-country ‘La Poutine Week’ festival. 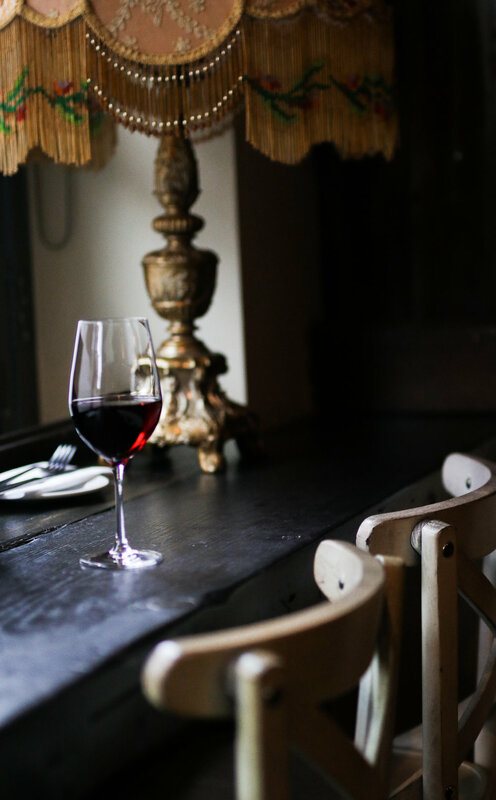 Tuc Craft Kitchen will give local oenophiles a taste of Oregon’s celebrated Willamette Valley when it welcomes Robert and Ellen Brittan of Brittan Vineyards to the Gastown enclave for an exclusive wine dinner on Sunday, April 14 at 6 p.m. The one-night-only event will pair Chef/Co-Owner Roy Flemming’s signature brand of rustic comfort food with a selection of rare and prized Brittan Vineyards wines during a five-course menu that includes such dishes as baked ricotta, olive oil, lemon and chives paired with Chardonnay,wild mushroom pâté and rye complemented by Gestalt Block Pinot Noir and roast pork loin farcipaired with Cygnus Block Pinot Noir. A limited number of tickets to Tuc’s Brittan Vineyards Wine Dinner are available for $95 per person plus tax and gratuity and may be purchased online. Bikers For Autism is again revving up efforts to raise awareness and funds for individuals and families affected by Autism Spectrum Disorder (ASD) by announcing the fifth annual edition of its flagship Shuck It Forward event taking place at Chewies Oyster Bar in Coal Harbour (1055 West Hastings) on Sunday, May 26 beginning at 12 noon. Bikers For Autism Shuck It Forward V offers a full afternoon of entertainment including chowder and Caesar competitions, live music, raffles, a silent auction including a fully stocked wine cellar, and the marquee feature — an oyster-shucking competition pitting 24 of North America’s best male and female shuckers against each other for $2,000 in cash prizes, bragging rights, the official ‘Shuck It’ trophy and entry and airfare to compete in the Raspberry Point International Oyster Shucking Championship in P.E.I. later in the year. Tickets to the Shuck It Forward event are available for $25 per person until April 15 or $35 afterwards online and at the door on the day of the event. Wildebeest Executive Chef Ian McHale will reunite with a like-minded culinary colleague who shares his philosophy of incorporating locally sourced, seasonal ingredients when he welcomes Chef de Cuisine Ron McKinlay of Toronto’s critically acclaimed Canoe for a collaborative dinner at the Gastown hotspot on Monday, April 8. Beginning at 7 p.m., the Wildebeest X Canoe dinner will see McHale and McKinlay trade talents and courses during a multi-course feast that spotlights their signature nose-to-tail sensibilities in dishes that include cattail pollen bannock, Quebec red stag tartare, Thiessen Farm quail, West Coast sea urchins and Peace Country lamb loin. 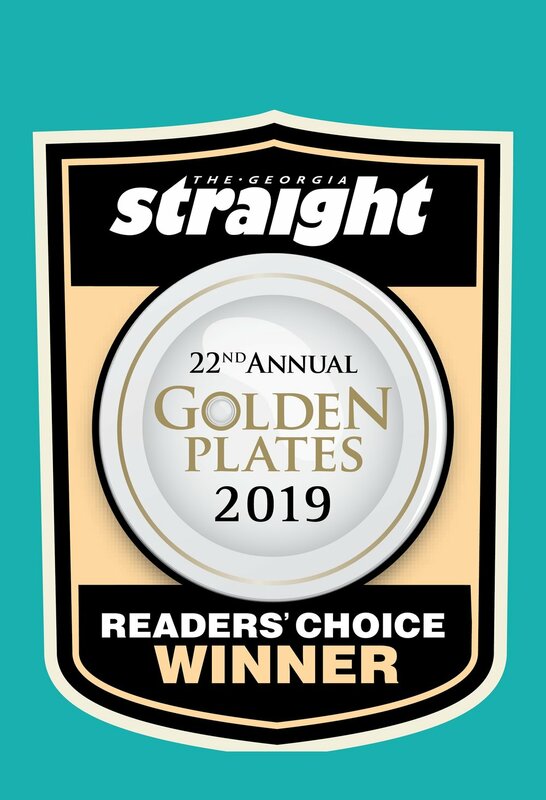 The readers (eaters) have voted and we’re thrilled to see so many of our amazing culinary clients on the list for The Georgia Straight's #GoldenPlates2019 Reader’s Choice Awards. Congratulations to Ask for Luigi (Best Italian), Juke Fried Chicken, Ribs and Cocktail Bar (Best Chicken & Best West End), Medina Café (Best Brunch), Pourhouse Vancouver Restaurant (Best Restaurant for a Stiff Drink), St Lawrence Restaurant (Best French), Tacofino Vancouver (Best Food Truck & Best Mexican), UVA Wine & Cocktail Bar (Best Wine Bar) and all the winners at this year’s competition. And a special shout out to Ricardo Valverde from Ancora Waterfront Dining and Patio, who was selected Chef of the Year by his industry peers in the publication’s insiders survey. Comfort-food fans have a new reason to convene a meeting of the Brunch Club when Tuc Craft Kitchen introduces new brunch dishes and daytime Happy Hour drink specials at the Gastown restaurant beginning this Friday, February 22. Available Fridays from 11 a.m. to 2:30 p.m., Saturdays from 10 a.m. to 2:30 p.m. and Sundays from 10 a.m. to 3 p.m., Tuc’s brunch menu offers such new additions as Tuc mex (braised lamb and black beans, two poached eggs, guajillo cream, cheddar and mozzarella cheese), waffles & pig (waffles, braised pork shoulder, two poached eggs, harissa mayo, mushroom escabeche, blistered tomatoes) and green bean & debris (two sunny eggs, red chili green beans, ground pork, potato hay). Beginning Monday, March 4, Cibo Trattoria Executive Chef Curtis Luk will unveil a number of new signature Italian-inspired breakfast and lunch dishes such as panino e colazione, arancini, gnocchi and insalata ligure. Cibo’s new menu — which also includes ever-changing daily charcuterie and local and Italian cheese plates served with grilled sourdough and seasonal garnishes — is available from 7 a.m. to 2 p.m. Monday through Friday and from 8 a.m. to 2 p.m. on weekends and holidays. On Friday nights at UVA Wine & Cocktail Bar, the spotlight shines on Glenfiddich’s world-famous Speyside single-malts during ‘Fiddich Fridays’, when the bar serves up Bonnie Prince (Glenfiddich 15 year, Oloroso Nutty Solera, Cocchi Americano, Bittered Sling Gunpowder bitters) and Silly Selkie (Glenfiddich 12 year, Cocchi di Torino, Amaro Lucano, citrus oleo saccharum, Bittered Sling Folklore bitters) cocktails for $16 each. The Vancouver-based, artisan flour miller and farmer-direct dry goods supplier formerly known as GRAIN has rebranded as Flourist and will open a 2,800-sq.-ft. bakery and cafe at 3433 Commercial St. in East Vancouver later this spring. The new bakery and cafe will feature fresh flour stone-milled on site, sourdough bread baked daily, coffee and baked goods, an all-day approachable food program and a retail market offering tools and ingredients for home baking and cooking adventures. Ancora Waterfront Dining and Patio brings its celebrated brand of Peruvian-meets-Japanese cuisine to the North Shore today when it officially opens its second location at 1351 Bellevue Avenue in West Vancouver’s Ambleside neighbourhood. Open for dinner service from 5 p.m., Ancora Ambleside showcases the same Nikkei-style cuisine, focus on fine wine and cocktails, and nautically inspired décor that has earned the original Ancora False Creek location numerous accolades since it opened in 2015, including consecutive annual placement on the prestigious list of Canada’s 100 Best Restaurants. Ancora Ambleside’s front-of-house team is led by industry veteran Steve Edwards (Boulevard Kitchen & Oyster Bar, Whistler’s Araxi Restaurant + Oyster Bar) as general manager and Jean Levan as assistant general manager, while the kitchen is anchored by longtime Executive Chef Ricardo Valverde and Chef de Cuisine Jorge Kim, with Brent Kim presiding over the raw bar. Origo Club will give guests plenty of reasons to celebrate the holidays at the restaurant, café and art gallery concept this December by featuring custom Bûche de Noël creations and a festive French-inspired Les Treize cocktail in addition to hosting a six-course gala New Year’s Eve dinner on Monday, December 31. 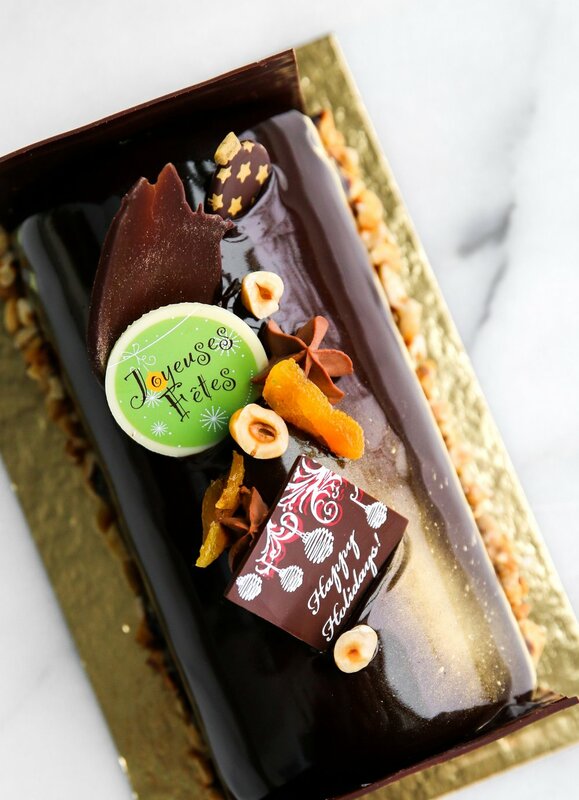 Beginning Friday, December 7, Pastry Chef Remi Ho will offer two delicious takes on a traditional Christmas Bûche de Noël, or Yule Log — bûche à la noisette (gianduja bavarois, creamy dark gianduja ganache, apricot coulis, praline noisette, gluten-free chocolate sponge) and bûche japonaise (Orelys Valrhona chocolate mousse, matcha bavarois, passionfruit coulis, mango curd, white chocolate sponge) — at the Origo Club café. Orders can be placed in person at the restaurant or by calling 604-285-8889. Wildebeest will help merrymakers kick-start the countdown to 2019 by hosting an indulgent four-course New Year’s Eve dinner that showcases the Gastown restaurant’s signature flair for preparing seasonally inspired fare on Monday, December 31. With seatings beginning at 5 p.m. in the restaurant’s warm and inviting dining room, Wildebeest Chef Ian McHale will serve a deliciously decadent feast that features such locally sourced highlights as fresh burrata & heirloom carrots, vacche rosse ravioli with Perigord truffle, bison flat iron with pommes Lyonnaise, pan-seared turbot with BC spot prawns, and caramelized spartan apple with salted caramel ganache. Tickets to Wildebeest's New Year’s Eve dinner are $89 per person plus tax and gratuity, with optional 3 oz. and 5 oz. wine pairings available for an additional charge, and can be purchased online. Cibo Trattoria and UVA Wine & Cocktail Bar will unwrap a series of unique dining experiences for guests by hosting festive holiday feasts and a Speakeasy-styled New Year’s Eve celebration at the twin downtown hotspots this December. The countdown to Christmas begins on Sunday, December 23 and Monday, December 24 as Executive Chef Curtis Luk applies his culinary talents to Cibo’s annual ‘Feast of Seven Fishes’ family style dinners before hosting a pair of New Year’s Eve Dinner services in Cibo’s intimate dining room on Monday, December 31. That same night, Cibo’s sister establishment UVA Wine & Cocktail Bar will turn the calendar to 2019 by welcoming partygoers to a Speakeasy-styled New Year’s Eve Party that features a four-course tasting menu paired with sparkling wine and signature cocktails. Juke Fried Chicken will be a crowd pleaser in more ways than one this Christmas season by offering a festive Holiday Turducken Feast perfect for parties and gatherings, and by hosting its third-annual ‘Cluck Your Resolutions’ brunch to ring in 2019 on Tuesday, January 1. 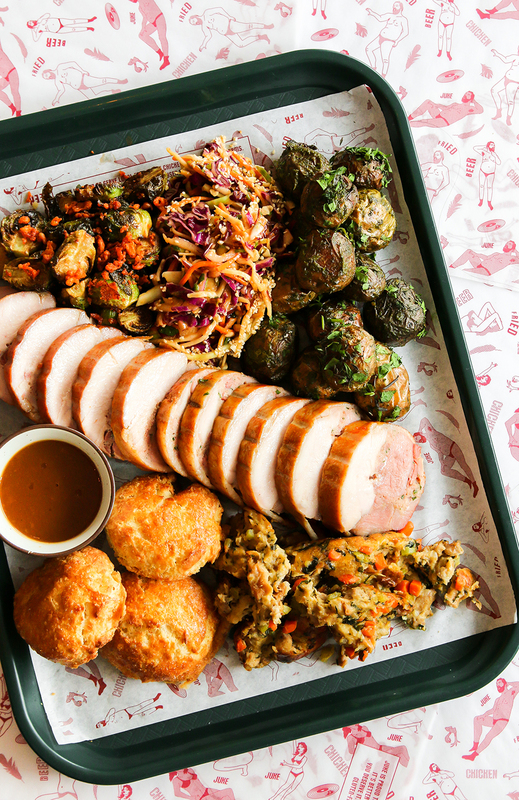 Available exclusively for pickup on Sunday, December 23, each Juke Holiday Turducken Feast package feeds six to eight people and includes pre-sliced turducken with stuffing and gravy, large sides of fried Brussels sprouts and herb-roasted potatoes, cranberry sauce, honey roasted squash, and country biscuits with whipped schmaltz. In true Juke fashion, all items except the country biscuits are gluten free. Ancora Waterfront Dining and Patio will capture the spirit of the holiday season by hosting weekday Prix-Fixe Lunch Services throughout December before welcoming friends and family to its elegant waterfront dining room for a pair of exclusive New Year’s Eve Dinners on Monday, December 31. Beginning Monday, December 3 at noon and continuing weekdays until December 28, Ancora Executive Chef Ricardo Valverde will showcase his signature brand of Peruvian-meets-Japanese ‘Nikkei’ cuisine with a three-course, holiday lunch prix-fixe menu that features a choice of appetizers (Nikkei quinoa salad or free-run chicken empanadas), mains (prosciutto-wrapped Atlantic cod or winter vegetable risotto) and dessert for $29 per person. The award-winning team at Boulevard Kitchen & Oyster Bar is warming up winter by unveiling an array of new luxury Tableside Service Pieces and special Christmas Eve and Christmas Day brunch and dinner services as well as a gala New Year’s Eve celebration with live music. Boulevard’s array of new Tableside Elements offer parties of between two and 12 guests truly unique culinary experiences such as clay-baked salmon, hay-smoked striploin, glazed veal shank and crêpes flambé prepared and plated before their very eyes. Boulevard visitors can also enjoy the finer points of the pour courtesy of interactive Champagne sabrage, cognac pipetting and port tongs presided over by the restaurant’s team of sommeliers. Railtown Catering is simplifying the busy holiday season once again this year by bringing back their hassle-free Holiday Turkey To-Go packages, available for pickup or delivery on December 24, 25 and 26. Prepared from scratch by Railtown Catering’s award-winning team of classically trained chefs, each traditional holiday dinner serves eight to 10 guests and features a pre-carved 16-lb. sage-roasted turkey with all the trimmings – including giblet gravy, dried apricot, chestnut & brioche stuffing, Brussels sprouts with toasted almonds, mashed Yukon gold potatoes with chives – and pecan pie with Chantilly cream for dessert. Larger groups can supplement their ready-made festive feast with extra side dishes, sauces and desserts on an à-la-carte basis. Railtown Catering will be giving back this holiday season and donating a portion of the proceeds from the sale of each Holiday Turkey To-Go package to Mission Possible, a non-profit neighbourhood organization that provides street-level care for those with immediate and critical needs in Vancouver’s Downtown Eastside. Boulevard Kitchen & Oyster Bar Chef Alex Chen became the first challenger to claim victory on the inaugural season of Iron Chef Canada after defeating Iron Chef Hugh Acheson on the fourth episode of the Food Network Canada TV show, which aired yesterday evening. Chen had one hour to prepare five dishes comprising a showcase ingredient of tomatoes and earned a final score of 71 to Acheson’s 66 from the panel of three celebrity judges. The panel ascribed points to each chef based on first dish, taste, plating, originality and the incorporation of a surprise ‘culinary curveball’ of Berbere spice that was announced at the midway point of the show. Chen’s battle against Hugh Acheson can be viewed in its entirety online. Fraserhood hotspot Bells and Whistles is giving guests a new reason to get happy this fall by adding two rounds of Happy Hour offerings to the menu and serving up all-day drink specials on weekends. Available from 3 to 5 p.m. and 10 p.m. until close Sunday to Thursday, Bells and Whistles’ new Happy Hour lineup features food items such as classic hot dogs for $5 and chili cheese and Chicago dogs for $7 and special pricing on sides such as onion rings, garlic fries, disco fries, chili fries, and salads as well as $7 negronis and $5.50 for all beer and cider on the printed menu. On Fridays and Saturdays, Bells and Whistles will usher in the weekend by offering double highballs and Parallel 49 Craft Lager with a pickleback shot (Jameson and pickle juice) for $8 as all-day drink specials in addition to their lineup of local and import beers, craft ciders, cocktails and wine. Tuc Craft Kitchen will continue celebrating its fifth anniversary by spotlighting some of the best small-batch, boutique wineries from BC’s Okanagan Valley when it hosts a special Taste of BC Terroir Dinner at the Gastown restaurant at 6 p.m. on Tuesday, November 20. The one-night-only affair will feature executive chef Roy Flemming’s signature brand of rustic comfort food paired with two unique Okanagan-grown wines during each course. The five-course menu includes dishes such as coconut chili bisque paired with Riesling from Ex Nihilo Vineyards and Daydreamer Wines, braised BC pork cheeks with carrot top chimichurri complemented by Meritage from Fairview Cellars and Covert Farms Family Estate, and chocolate ginger budino & salted caramel paired with Syrah blends from Da Silva Vineyards and Moon Curser Vineyards. A limited number of tickets to Tuc’s Taste of BC Terroir Dinner are available for $95 per person inclusive of taxes and gratuity and may be purchased via Eventbrite. Boulevard Kitchen & Oyster Bar Chef Alex Chen will test his culinary mettle against Canadian Iron Chef Hugh Acheson when he steps into Kitchen Stadium on the latest episode of The Food Network Canada’s inaugural season of Iron Chef Canada next Wednesday, November 7 at 7 p.m. PST. Chen will have one hour to prepare five dishes comprising a showcase ingredient that is announced at the start of the show. Both competing chefs will then present their dishes to a panel of three celebrity judges that will ascribe points to each chef based on first dish, taste, plating, originality and a surprise ‘culinary curveball’ ingredient. This fall, Wildebeest will underscore its philosophy of working closely with local farms, foragers and providers by offering a seasonal Game and Mushroom Menu available November 1 to 15. The à-la-carte feature menu will incorporate game meat such as elk, boar and goat from Two Rivers Specialty Meats — a local vendor that works with small farms throughout BC and Alberta to supply restaurants with the highest quality ethically and sustainably raised products — and an array of mushrooms supplied by foragers from the BC interior and Vancouver Island. As Wildebeest’s Fall Game and Mushroom Menu features are available in limited quantities and served on a first-come, first-served basis, reservations are strongly recommended and can be made via Open Table or by calling the restaurant at 604-687-6880. Ancora Waterfront Dining and Patio will spotlight top-shelf caviar from around the globe when the fourth-annual Caviar Festival takes centre stage at the False Creek restaurant from November 6 to 27. During the three-week event, Executive Chef Ricardo Valverde will add six indulgent-yet-approachable à-la-carte items to the dinner menu and give guests an opportunity to sample an array of exotic caviar-driven dishes that also showcase his signature Peruvian-meets-Japanese ‘Nikkei’ cuisine. All six feature Caviar Festival Menu dishes can also be enjoyed with optional BC wine pairings. Reservations are strongly recommended for Ancora’s Caviar Festival Menu and can be made online or by calling the restaurant at 604-681-1164. 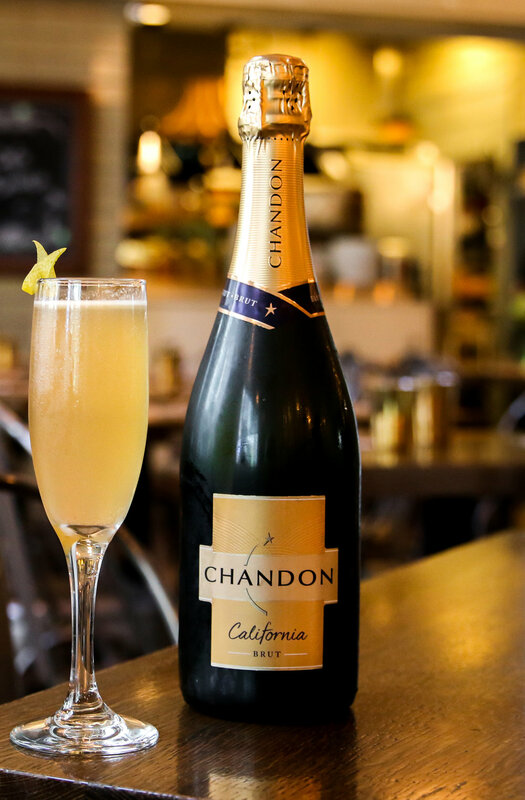 Café Medina will help winemaker Domaine Chandon celebrate its 45th anniversary by breaking out the bubbles as the downtown brunch destination welcomes the Napa Valley vintner for an exclusive ‘Sparkling Supper’ dinner on Monday, November 5. The event, which marks Medina’s new exclusive partnership with the Golden State winery, begins with a stand-up reception at 6:30 p.m. showcasing Medina Bar Manager Marc Slingsby-Jones’ original Last Flight cocktail featuring gin, green Chartreuse, lavender syrup and Chandon California Brut. Guests will then enjoy a three-course seated meal prepared by Executive Chef Chris West and paired with a variety of Chandon’s sparkling wines. Tickets to the Café Medina Sparkling Supper on Monday, November 5 are available for $75 per person plus tax and gratuity and can be purchased online. 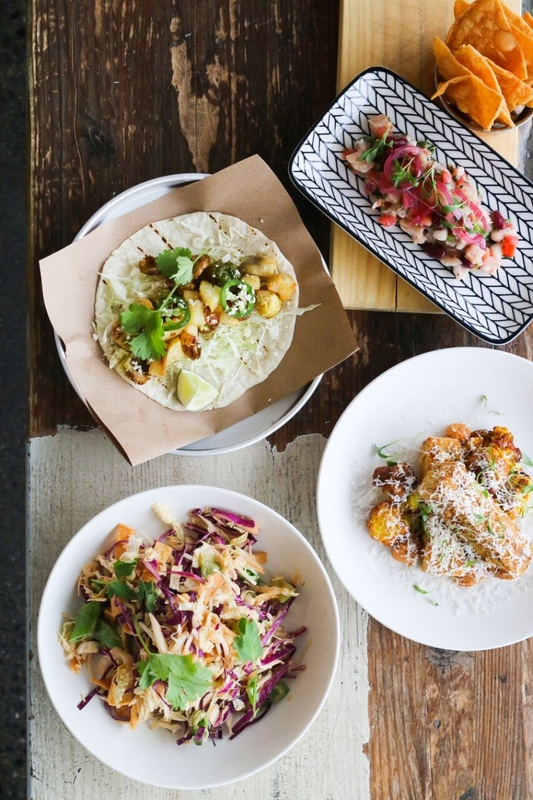 The newest member of Tacofino’s growing family of restaurants, Ocho, officially opens its doors in Vancouver’s Mount Pleasant neighbourhood tonight at 5 p.m. at 8 East 5th Avenue. The sixth brick-and-mortar location for Tacofino, Ocho occupies 2,800 square feet of space in a refurbished art-deco heritage building and offers a 100-seat dining room and expansive horseshoe-shaped bar for dine-in guests with a take-out counter soon to open for those looking for quick-service, grab-and-go options. Reinforcing Tacofino’s long-standing tradition of offering menus unique to each location, Ocho features a lineup of fire-grilled, char-roasted meat and vegetable dishes developed by Sussman and Tacofino’s Michelin-starred Chef Stefan Hartmann. Beyond an assortment of tacos such as grilled skirt steak, crispy cod, rapini, squid and sweet potato and leek varieties, Ocho also offers new share-plate options such as whole grilled rockfish, half chicken, grilled pork belly and top sirloin as well as starters like grilled romaine salad, queso fundido, empanadas and pozole. For the second year in a row, a key member of the Boulevard Kitchen & Oyster Bar back-of-house team won the Hawksworth Young Chef Scholarship finals in Toronto as Junior Sous Chef Daniel Kim reigned supreme at the annual culinary competition this past weekend. The national competition involved a black-box challenge during which the eight finalists had three hours to incorporate such mystery ingredients as Fraser Valley Specialty Poultry duck, guanciale sorrentino, butternut squash, local honey, Canadian eggs and Cacao Barry Origin Saint-Domingue 70% Dark Chocolate into a main dish and dessert course. An all-star culinary panel of 13 top chefs and critics including David Hawksworth, Norman Laprise, Lee Cooper, Jacob Richler and Lian Yeung judged the final dishes. Yuwa Japanese Cuisine will celebrate its first year in fine style by hosting an exclusive one-night-only Anniversary Dinner on Tuesday, October 23. The event begins with a sparkling wine reception at 6 p.m. before Yuwa Executive Chef and Co-Owner Masahiro Omori demonstrates his signature take on the regional cuisines of his home country of Japan with an eight-course dinner that will be paired with rare sake and wine selected by Yuwa Co-Owner and Sake Sommelier Iori Kataoka. Highlights of the menu include a selection of canapés, ringo-gama (roasted duck, eggplant, white mushroom with spicy miso in BC Fuji apple), madai uroko age (fried tilefish and maitake tempura with Niigata Mojio seaweed salt) and braised Wagyu on renkon manju (thinly sliced Wagyu rib eye on lotus root cake, carrot, fried lotus root, wasabi, kinoko an-kake). A limited number of tickets are available for $99 per person plus taxes and gratuity. Tickets may be purchased by calling the restaurant at 604-731-9378 or online. Shelley McArthur, founder and principal of SMC Communications, is another successful businesswoman who uses social media to her advantage. 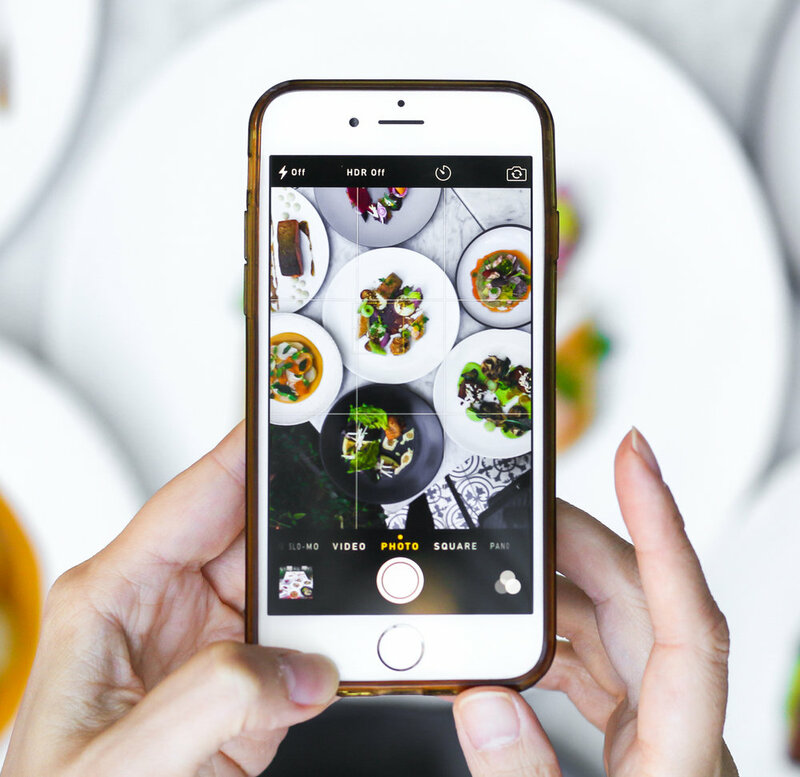 The professional marketing communications strategist for hospitality, lifestyle and consumer brands increases brand awareness and creates social media opportunities to expand her Vancouver-based public relations consultancy business and, more importantly, her clients’ businesses. McArthur says the key to a successful social media strategy is to understand your audience and choose the platform that suits them best. Read more. Tuc Craft Kitchen will dig deep into its culinary catalogue and bring back a number of past comfort-food favourites to celebrate its fifth anniversary when Executive Chef Roy Flemming debuts a new fall menu on Thursday, October 4. The lineup of rustic fare on offer at the Gastown destination includes such newly introduced dishes as: acorn & pomegranate salad (acorn squash, pear, cucumber, roquette, ginger & pomegranate dressing); beer & cheddar soup (IPA, gala apple, cheddar, apple cider, oat crumble); beluga lentil falafel (cauliflower purée, pickled beets) and fish stew (Lois Lake steelhead trout, ahi tuna, white wine, chorizo, corn, mint). While a number of Tuc’s most popular menu items will remain, Flemming is also reviving several ‘greatest-hits’ dishes from years past. Railtown Catering is helping to remove the hassle from the holiday season once again this year with their signature ready-made turkey dinners with all the trimmings. Back by popular demand for the fourth year in a row, gourmet Thanksgiving To-Go packages from the award-winning Vancouver catering company will be available for pickup or delivery throughout the Thanksgiving weekend from October 6 to 8. Railtown’s ‘Heat-and-Serve’ Thanksgiving To-Go packages feature a 16-lb. sage-roasted turkey accompanied by all the traditional festive fixings – including maple-glazed sweet potatoes, Brussels sprouts with toasted almonds, and dried apricot chestnut stuffing – plus scratch-made pumpkin pie with Chantilly cream for dessert. Available for $319 plus tax, Thanksgiving dinners are designed for eight to 10 guests and additional sides can be ordered on an à-la-carte basis for larger crowds. Orders for Thanksgiving To-Go must be received by October 3 at Noon and may be placed online or by calling 604-568-8811. Boulevard Kitchen & Oyster Bar will usher in autumn by hosting exclusive Sake and The Macallan Whisky dinners on Sunday, September 30 and Wednesday, October 10, respectively, as well as a gourmet Thanksgiving service on Sunday, October 7 and Monday, October 8. A limited number of tickets to Boulevard Kitchen & Oyster Bar’s Sake dinner on Sunday, September 30 and The Macallan whisky dinner on Wednesday, October 10 are available for $139 and $149 per person plus tax and gratuity, respectively, by calling the restaurant at 604-642-2900. As seating is limited for Boulevard’s Thanksgiving Weekend Dinner services on Sunday, October 7 and Monday, October 8, reservations are highly recommended and can be made by calling the restaurant at 604-642-2900 or online. Read more. 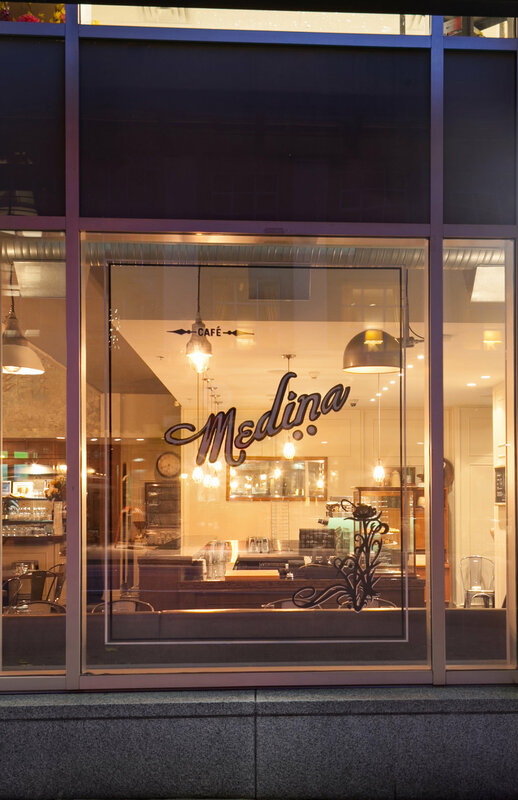 As part of its ongoing commitment to support local causes, Café Medina will host an after-hours culinary fundraiser for The Crisis Intervention and Suicide Prevention Centre of BC (Crisis Centre) during the latest edition of its ‘Medina After Dark’ dining series on Thursday, October 4 at 7 p.m.
Two members of Café Medina’s kitchen team have collaborated to prepare a six-course ‘elements’-themed menu pairing three savoury and three sweet dishes, with 100 per cent of the proceeds being donated directly to the Vancouver-based Crisis Intervention and Suicide Prevention Centre of BC, which provides emotional and mental health support and 24/7 regional crisis phone lines for youth, adults and seniors in distress across the province. Tickets may be purchased online via medinacafe.com/events/. When the clock strikes midnight in Munich on Friday, September 21 at 3 p.m., the Fraserhood hotspot Bells and Whistles will usher in 17 days of celebrations and transform into a Bavarian-inspired beer hall to host ‘Wünderbar: An Oktobeerfest Pop-Up’ until Sunday, October 7. Gooseneck Hospitality partners James Iranzad, Josh Pape and Nick Miller and the Bells and Whistles team will mark the restaurant’s first anniversary by inviting guests to hoist a stein and mark the annual beer-centric celebration with Oktoberfest-themed attire, décor and food and drink specials. Read more. 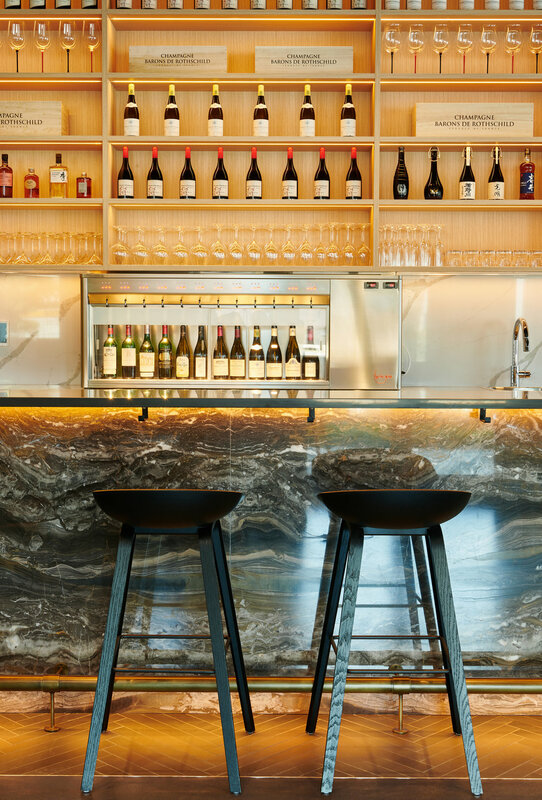 Origo Club will take guests on a guided tour of some of France’s most celebrated vineyards when the Richmond restaurant, café and art gallery concept hosts a trio of exclusive wine dinners throughout September and October. Showcasing fine wines from the portfolios of Château de Meursault, Château Fuissé and Champagne Barons de Rothschild, each dinner will be led by Origo Club Managing Partner and wine connoisseur Woody Wu, along with the managing directors of each Château, and paired with a custom multi-course menu from Head Chef David Pan. Tickets to each of Origo’s wine dinners range from $185 to $285 per person including taxes and gratuity, and may be purchased online at origoclub.ca. Ancora Waterfront Dining and Patio will bring its signature brand of Peruvian-meets-Japanese ‘Nikkei’ cuisine to Vancouver’s North Shore later this fall when the award-winning restaurant opens a second location at 1351 Bellevue Avenue in West Vancouver’s Ambleside. Overlooking the waterfront in the high-profile Grosvenor Ambleside development with panoramic views of notable Vancouver landmarks like the Lions Gate Bridge, Stanley Park and Vancouver’s West Side, Ancora’s new location will feature seating for 104 in its expansive dining room and bar and 38 on its patio. After its successful launch this June, Richmond restaurant, café and art gallery concept Origo Club will expand its offerings by adding Afternoon Tea service beginning Friday, August 31. Available Fridays and Saturdays from 1:30 to 4 p.m., the small bites, sandwiches and pastries will be served in Origo’s relaxed-yet-refined dining room and paired with a choice of tea or coffee for $45 per guest. The service can also be supplemented with a glass of Barons de Rothschild Champagne for an additional $35 per person. Reservations are highly recommended and may be made by calling the restaurant at 604-285-8889 or booking online via OpenTable. Juke Fried Chicken will rule the roost in a new neighbourhood when the popular fried-chicken-and-rib joint officially opens its second location — a.k.a. ‘Little Juke’ — in the heart of Vancouver’s West End neighbourhood at 1074 Davie Street on August 29. Serving up Juke’s trademark gluten-free, non-GMO-grain-fed and free-range regular and spicy fried chicken available in various drums-and-thighs sizes, Little Juke will also offer new menu items including quarter, half or whole rotisserie chickens, Vietnamese-inspired nuoc cham ribs, 'Big Boy' fried chicken sandwiches, and sides like mac & cheese poppers and roast potatoes, as well as weekend brunch options on Saturday and Sunday. After a two-year hiatus, Railtown Cafe’s perennially sold-out Saturday al-fresco-style Tailgate Barbecues are back for two exclusive events at their original location in the heart of Vancouver’s historic Railtown District on August 18 and 25 from 4 to 9 p.m.
Railtown Chefs and Co-Owners Dan Olson and Tyler Day will fire up their custom-built, 12-foot smoker/barbecue barrel to heap plates high with mouthwatering, slow-smoked brisket and pork shoulder and beer-brined chicken and brats, as well as a choice of made-from-scratch sides. Tickets for the Railtown Tailgate Barbecue events on August 18 and August 25 are available for $29 per person ($19 vegetarian) plus tax, both online at railtowncafe.ca/events and onsite. All tickets purchased online in advance include a complimentary drink voucher (up to $6 value). Tacofino will introduce its iconic brand of surf-centric cuisine to a new neighbourhood when it opens its latest location on the corner of Ontario Street and East 5th Avenue in Mount Pleasant early this fall. Occupying 2,800 square feet of space in the re-imagined Lightworks Building — a refurbished art-deco heritage property originally built in 1942 — Tacofino’s new Mount Pleasant location is the latest addition to a growing family of restaurants that was first launched in Tofino, BC by co-founders Jason Sussman and Kaeli Robinsong in 2009. The new restaurant will offer dine-in guests a 100-seat dining room, expansive horseshoe-shaped bar and a new menu of fire-grilled meat and vegetable dishes developed by Sussman and Tacofino’s Michelin-starred Regional Executive Chef Stefan Hartmann. 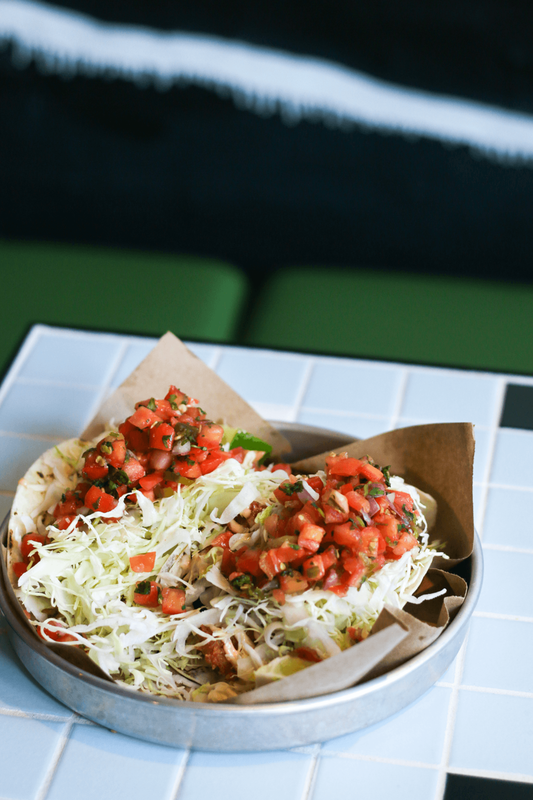 Following the lead of the brand’s Taco and Burrito Bar location in Gastown, the new outpost will also feature a take-out counter for those looking for quick-service, grab-and-go options. 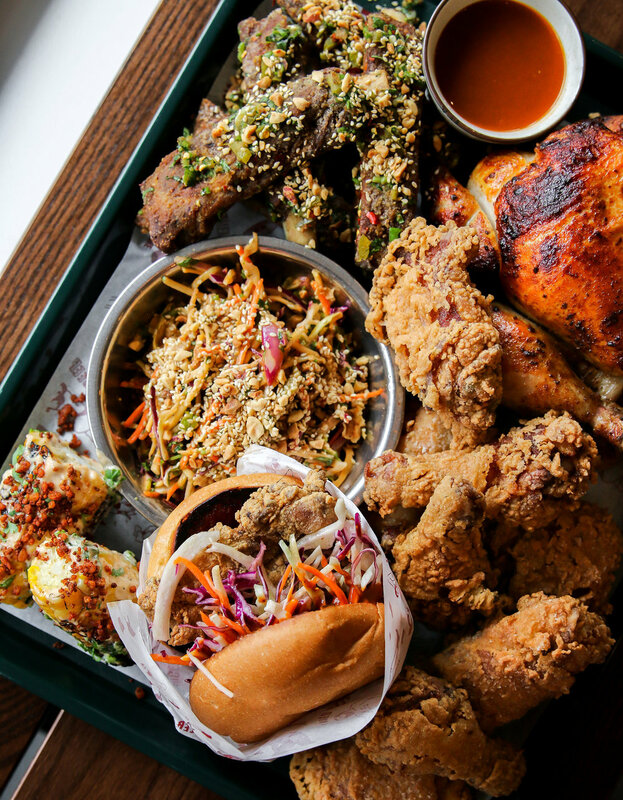 This summer, the chicken doesn’t just cross the road — it heads across the city when Chinatown’s wildly popular Juke Fried Chicken takes its trademark fried-chicken-and-rib-joint concept to a second location at 1074 Davie Street in Vancouver’s vibrant West End. Set to open later this summer, Juke’s new location will offer its signature southern-inspired menu as well as a few fun surprises in a fully licensed, counter-service spot that will be open for lunch and dinner seven days a week as well as weekend brunch options. 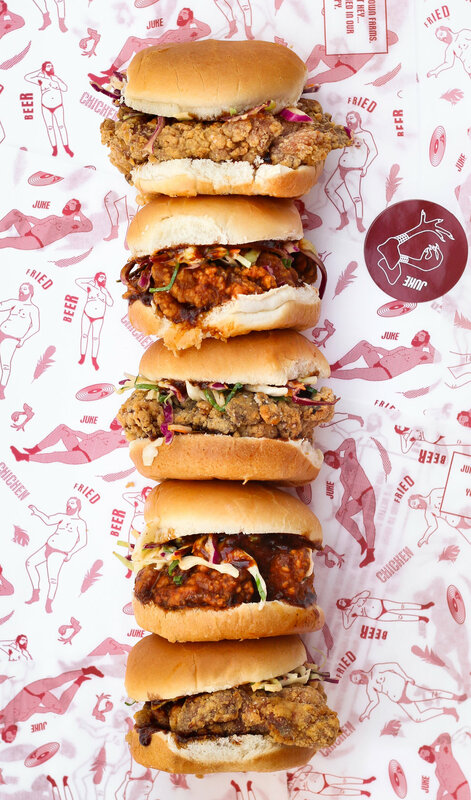 To celebrate the news of the latest addition to the Juke family and the second anniversary of its launch, Juke is featuring a Fried Chicken Sandwich special at its original location at 182 Keefer Street on National Fried Chicken Day this Friday, July 6. Starting at 11 a.m., fried chicken fans can pick up Juke’s signature chicken sandwiches — made with gluten-free, free-range chicken marinated for 24 hours in buttermilk marinade and garnished with house-made barbecue sauce and slaw — in both regular and spicy varieties for just $3 each (normally $6.50) for dine-in and take-out service. The team at Origo Club is pleased to announce that its highly anticipated new restaurant, café and art gallery concept will officially open in Richmond’s Oval Village this Thursday, June 28. During the day, Origo Club invites fans of the laidback café and bistro lifestyle to sample a menu of fresh-baked viennoiseries and lighter fare. Pour-over specialty coffees and espresso-based beverages courtesy of one of only four state-of-the-art Modbar brewing systems currently in use in BC are also a highlight, as well as aromatic black, green, herbal or pu-erh teas. When night falls, Origo Club’s classically trained chefs will tempt eye and palate with a menu of French-inspired fare served in the comfort and luxury of its main dining space and two private rooms. Behind the bar, a handpicked list of French wine and exclusive selection of Barons de Rothschild Champagne beckons, as well as an array of classic and house cocktails, imported saké and whiskies from around the world. A pioneering family that helped blaze the trail for BC’s flourishing wine industry will raise a glass to five fruitful years for Culmina Family Estate Winery when Don, Elaine and Sara Triggs host a Fifth Anniversary Weekend Celebration at their Golden Mile Bench estate September 14, 15 and 16. Throughout the weekend, guests can take part in an exclusive series of events including a Collaborative Chefs’ Dinner prepared by Vancouver Magazine 2018 Chef of the Year Alex Chen of Boulevard Kitchen & Oyster Bar and Executive Chef Mark Filatow of Kelowna’s Waterfront Wines Restaurant, recently named ‘Best Okanagan’ by Vancouver Magazine for the ninth-straight year. The event will also showcase an Anniversary Rosé created exclusively for the dinner, showcasing the talents of a world-renowned BC-artist. To purchase tickets, visit https://store.culmina.ca/product/5-Year-Anniversary-Celebration. 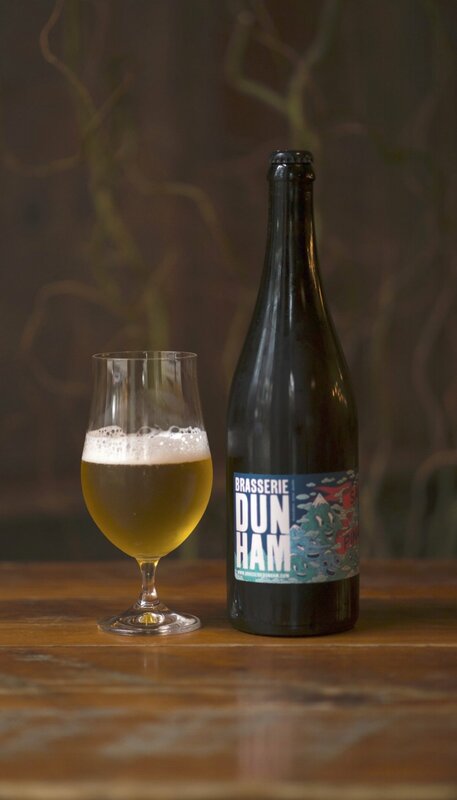 Craft beer connoisseurs can get an exclusive taste of an award-winning Quebec brewery when Wildebeest welcomes Brasserie Dunham for ‘Brasserie & The Beest’ on Wednesday, July 4 at 6:30 p.m. Taking place in the restaurant’s ‘Underbelly’ private room, the standup-style mixer will pair bites of signature Wildebeest fare – such as oysters, charcuterie, fried chicken, heirloom tomatoes & burrata, and boar belly – with five kegged and bottle-conditioned Brasserie Dunham beers, including Saison du Pinacle, Oro Zuur Wild Ale, Assemblage Nos. 3 and 9, and ‘Jane Doe’: Assemblage Hors-Série No. 8 sour. Guests will also have the opportunity to meet-and-greet with Brasserie Dunham brewmaster Eloi Deit, while he guides them through an exclusive selection of unique beers that are unavailable in BC outside of this event. Tickets to Wildebeest’s one-night-only ‘Brasserie & The Beest’ event are available for $39 per person plus tax and gratuity and may be purchased online at https://wildebeest.ca/events. Culinary and cultural aficionados alike can sample a unique experience for the senses when Origo Club opens the doors on a brand-new 5,200-sq.-ft. multifaceted concept that will encompass a restaurant, café and art gallery in Richmond’s Oval Village later this summer. 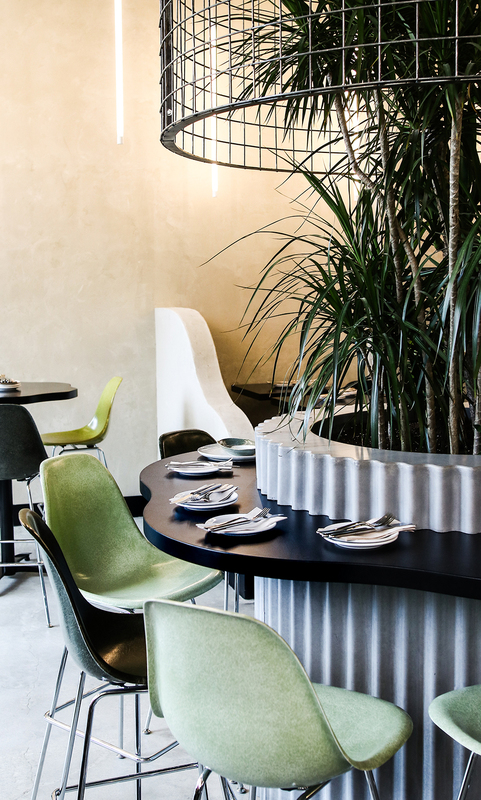 At the crossroads of cuisine and design, Origo Club is the first North American offshoot of a high-profile private club that debuted in Beijing in 2014. The club’s name derives from the Latin term ‘Origo’, meaning ‘origin’, which both underscores a single-source philosophy regarding its selection of food and wine, coffee and tea, and art exhibits and speaks to the brand making its first indelible footprint on the local hospitality scene. Summer in the city means more than just sunshine and lazy days at the beach — it also heralds the return of the Sunday Seafood Boil Series on the patio at Boulevard Kitchen & Oyster Bar, which kicks off a fourth year of the perennially sold-out seasonal tradition starting Father’s Day, June 17. Beginning at 6 p.m. each Sunday from June 17 until August 26, Boulevard will host up to 24 guests for a true seafood feast for the senses when Executive Chef Roger Ma and team haul in a net of fresh-caught crawfish, jumbo prawns, clams, mussels and Dungeness crab to serve up with all the fixings piled high on butcher’s paper. Tacofino is extending its popular Beer Dinner Series by adding Victoria’s Phillips Brewing & Malting Co. and East Vancouver’s Strathcona Beer Company to the calendar on July 26 and August 30, respectively, hosted at its Hastings location (2327 E. Hastings St.). Pairing a variety of beers from some of BC’s best craft breweries with a custom, five-course menu designed by Tacofino Regional Executive Chef Stefan Hartmann, the series launched in January with a string of sold-out monthly engagements. Heritage Asian Eatery Chef and Co-owner Felix Zhou and partners Natasha Romero and Paul Zhang will bring their modern spin on Far East-inspired fare to a new neighbourhood this fall when they open the doors to a second location of the popular downtown restaurant at 382 West Broadway. Located in the burgeoning Mount Pleasant district, the new addition to the Heritage family will occupy a 2,300-sq.-ft. licensed space with seating for 40 guests. 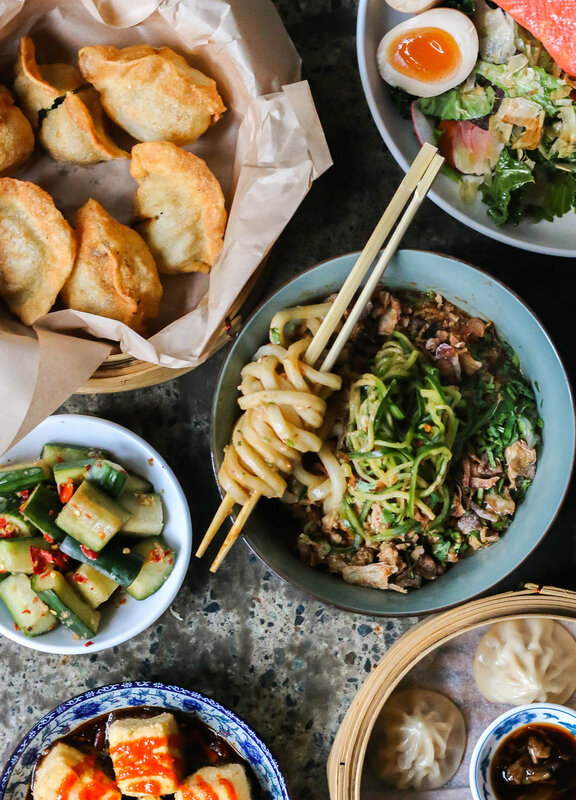 The second counter-service outpost will offer the same casual, communal atmosphere for sit-down and take-out lunch and dinner that has made the original location at 1108 West Pender St. a must-try dining destination since it opened in 2016. Boulevard Kitchen & Oyster Bar Wine Director JP Potters will welcome a flagship family winery from the South Okanagan region when the restaurant co-hosts a ‘Generations Wine Dinner’ with Blue Mountain Vineyard and Cellars on Friday, June 8 at 6:30 p.m. The one-night-only event — which is limited to 30 guests — will feature a reception and a four-course menu of Boulevard’s signature, West Coast-inspired fare prepared by Executive Chef Roger Ma paired with the unique insights and expertise of Blue Mountain father-daughter ownership duo Ian and Christie Mavety. During each course, Ian will present and provide tasting notes for a rare library wine from the Blue Mountain cellars, while Christie will detail a corresponding current vintage. Here comes the sun — and with it, a new lineup of classic, Americana-roadside-inspired fare and signature drinks at Bells and Whistles, as well as a ‘Dip Into Summer’ Party over the Victoria Day long weekend to christen the new heated and licensed wrap-around patio. On Sunday, May 20 from 2 to 7 p.m., the Bells and Whistles team invites friends, neighbours and beer lovers alike to join them in kicking off their first official summer season. The Fraserhood hotspot will be serving up drink features such as large-format ‘fishbowls’ of Pink Sangria (rosé, brandy, fresh citrus and berries) while special guest DJs The Super Amigos provide live entertainment. 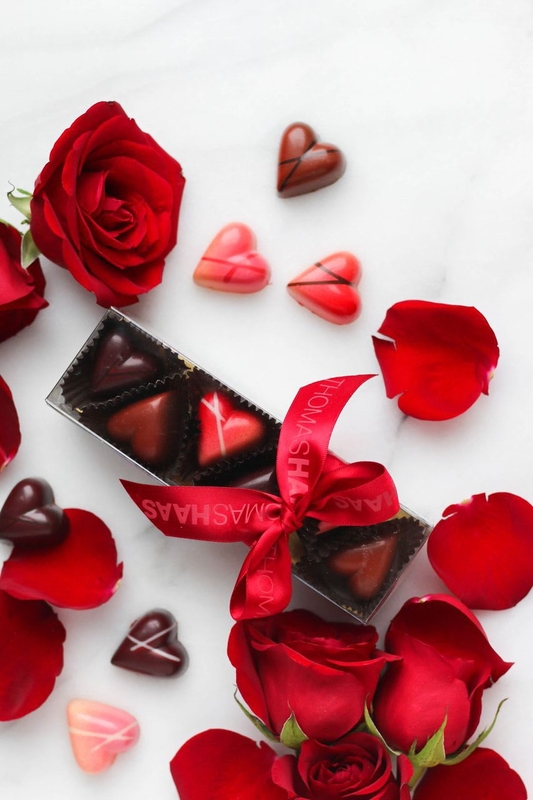 This Mother’s Day, Sunday, May 10, acclaimed chocolatier Thomas Haas will help shower moms with a selection of decadent creations available exclusively at his two Thomas Haas Chocolates & Pâtisserie locations in North Vancouver and Kitsilano. The Thomas Haas team is pleased to offer an assortment of handspun confections as part of their 2018 signature Mother’s Day collection, including: Heart-shaped Strawberry Shortcake, Heart-shaped Chocolate Cake, High Heels, Ladybug, Spring Flower Pots, and Signature Gift Boxes. 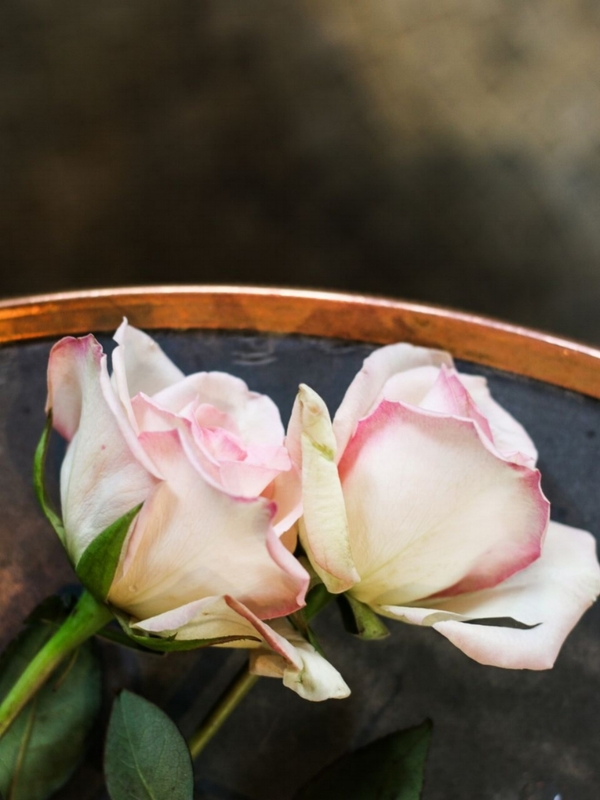 Executive Chef Roger Ma and the Boulevard Kitchen & Oyster Bar will host brunch and dinner buffet services in honour of Mother’s Day on Sunday, May 13, in addition to their regular à-la-carte menus. From 10:30 a.m. to 3 p.m., Boulevard’s brunch buffet will offer house-baked pastries, artisanal charcuterie and cheeses, and classic dishes like Eggs Benedict as well as Smoked Steelhead Trout, Albacore Tuna Tataki and Pacific White Shrimp. Boulevard will also roll out its Mimosa Trolley, offering a selection of sparkling wines, fresh juice and fruit served tableside. From 4:30 to 9:00 p.m., the dinner buffet will feature local fare including carving stations featuring Prime Striploin, Roasted Leg of Lamb and BLVD Porchetta, Pan-Crisped Steelhead Trout, West Coast Paella, Smoked Sablefish, and Clam Chowder. Juke Fried Chicken is helping make a special occasion even more so this year by welcoming friends and families for a Mother’s Day brunch on Saturday, May 12 and Sunday, May 13. To help families plan for the occasion, they will offer limited reservations that weekend only with seating times between 10 and 10:45 a.m.
On both days, Juke will offer a Mother’s Day feature that includes an orange or grapefruit Juke mimosa, two waffles, two pieces of Juke’s signature crispy, southern-style fried chicken and a gift-wrapped package of housemade Juke hot sauce for $27 per person. Juke’s regular brunch menu will also be offered and includes such dishes as: Juke breakfast sandwich, biscuits & gravy with honey-glazed ham, and chicken hash with soft-boiled egg. Following a string of sold-out beer dinners, Tacofino will host a one-night-only Tequila Dinner at its Yaletown ‘Burrito Bar’ at 1025 Mainland Street on Thursday, May 10 at 7:30 p.m.
With a menu by Tacofino Regional Executive Chef Stefan Hartmann, the evening will feature Tacofino’s Baja-by-way-of-West-Coast cuisine accompanied by an array of expertly crafted spirits from internationally renowned distillers el Jimador and Casa Herradura. Hartmann, will co-host the event with Certified Specialist of Spirits and Brown-Forman Canada brand ambassador Ryan Cheverie, who will provide tasting notes for a unique lineup of tequilas including Herradura’s 49-month-aged Seleccion Suprema and the limited-edition, small-batch Coleccion de la Casa, Reserva 2015 Directo de Alambique. Chef Josh Gonneau and the staff at Cibo Trattoria will mark Mother's Day in authentic Italian style by offering special Brunch and Dinner menus at the downtown destination on Sunday, May 13. 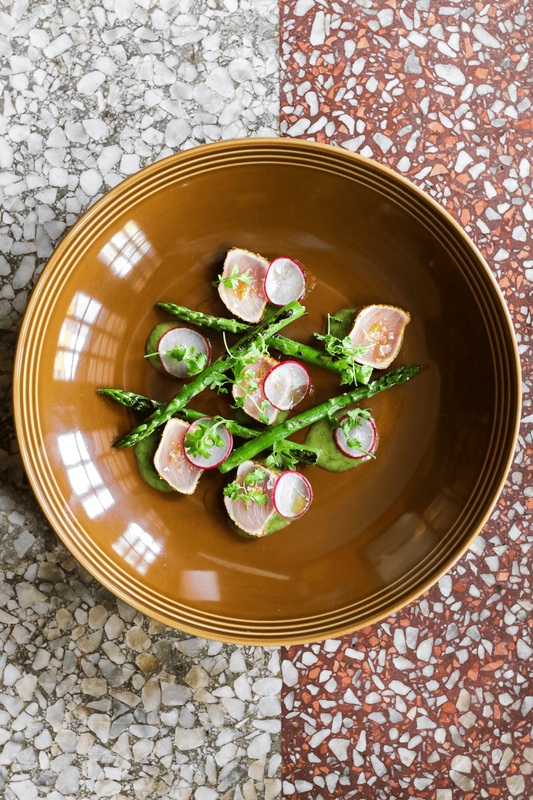 Open for Brunch from 8 a.m. to 2 p.m., Cibo will offer a pair of Mother’s Day menu features – Ricotta Gnocchetti, Prosciutto and Mascarpone Ravioli, and Seared Albacore Tuna – in addition to its delicious daily selection of rustic, sweet and savoury dishes. From 5 p.m. onwards, guests are invited to enjoy a four-course set menu of regionally inspired Italian cuisine for $65 per person, plus tax and gratuity, in addition to the restaurant’s regular a-la-carte menu offerings. It was a banner night for both Boulevard Kitchen & Oyster Bar and Chef Alex Chen yesterday when the downtown destination captured big wins in the Best Seafood and Best Upscale categories, while Chen was appointed Chef of the Year at the 2018 Vancouver Magazine Restaurant Awards. Chen, who now adds Vancouver magazine’s ‘Chef of the Year’ title to his list of impressive accolades, led Team Canada to a top-10 finish at the 2013 edition of the prestigious Bocuse d’Or in Lyon, France, and won the 2015 and ’17 editions of the Gold Medal Plates BC regional culinary competitions as well as the 2018 Canadian Culinary Championships. Au Comptoir Executive Chef Daniel McGee will welcome two dynamic culinary minds to the line at the Parisian-inspired bistro when he hosts Chambar's Nico Schuermans and The Mackenzie Room's Sean Reeve for a four-course Guest Chefs' Dinner on Tuesday, May 1 at 7 p.m. The event will see the chefs trade courses throughout a service that will also feature a dessert course courtesy of the restaurant’s new pastry chef Julien Salomoni. The fourth-generation talent behind the internationally renowned Thomas Haas Chocolates & Pâtisserie was singled out for the newly christened ‘Best Patisserie’ title yesterday at the 29th annual Vancouver Magazine Restaurant Awards. This year marks the 15th time in the last 17 years in which Haas has been honoured for an accolade at the ceremony. After winning eight straight titles for Best Last Course beginning in 2001, Haas went on to score four consecutive Pastry Chef of the Year awards and five since the category was launched in 2011, in addition to Best Bakery at last year’s edition of the awards. Boulevard Kitchen & Oyster Bar chefs Alex Chen and Roger Ma — who have anchored the back-of-house team at Boulevard since its inception in 2014 — have been promoted to new roles within the restaurant and beyond. Chen will now take on the role of Executive Chef – Signature Restaurants for Sutton's luxury brand, where he will also drive menu and restaurant development, while continuing to be based at Boulevard to maintain a mentorship role and oversee private and custom menu creation. Ma will now step into the role of Executive Chef. Café Medina and Thomas Haas team up for a week from Monday, March 19-Sunday, March 25, to deliver the ultimate treat to celebrate International Waffle day. Café Medina will offer the local chocolatier's signature "Haaselnut" spread as a limited topping to their trademark waffles. Sunday, March 25 marks International Waffle Day and for that day only $1 from every waffle sold will be donated to Mealshare - a notable national charity that has provided over 1.8 million meals to youth in need since 2013. Read more. Following a successful launch in Vancouver’s historic Gastown district, Coquille Fine Seafood is now serving up Lunch and Happy Hour specials seven days a week. From 11:30 a.m. to 5 p.m. daily, the restaurant will showcase lunch fare such as Hearty Fisherman’s soup, Chirashi Bowl, a Cheeseburger or Fish Sandwich, and a Crab & Shrimp Roll. The menu also features hot and cold small plates, crudos and salads. Coquille will also offer Happy Hour service from 3 p.m.to 6 p.m. In addition to drink specials, food features include Octopus Toast, Fritto Misto, Cod Croquette, Crab & Shrimp Roll, an array of freshly shucked oysters, as well as daily rotating features. Read more. Legendary chocolatier has unveiled his latest lineup of decadent seasonal confections available exclusively at his two Thomas Haas Chocolates & Pâtisserie locations. Fresh from the patisserie, Easter also sees the return of Haas’ signature Easter Stollen, a seasonal delicacy fashioned from almonds, Sicilian pistachios and kirsch-soaked organic cherries with a pistachio-almond marzipan centre. Is your mouth watering yet? Read more. 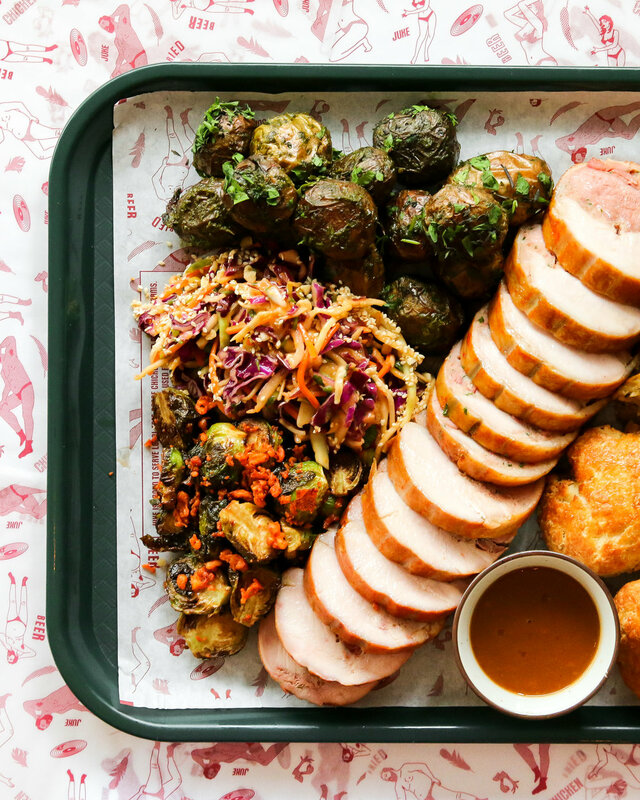 The classically trained chefs at Railtown Catering are once again providing hosts with a ready-made festive feast courtesy of the company’s popular Easter To-Go packages, available for pickup or delivery on Sunday, April 1 and Monday, April 2. Options for entrées include the choice of Honey-Glazed Bone-in Ham or Lemon-and-Rosemary-Crusted Leg of Lamb plus a wide array of homespun seasonal side dishes, salads, rolls and desserts. To-Go packages are fully-cooked and ready to heat and serve. An added bonus is that a portion of the proceeds from the sale of each Easter To-Go package will be donated directly to Mission Possible- an agency dedicated to fighting poverty, homelessness, and addiction. All orders must be placed by 3pm on Wednesday, March 28. Read more. On Sunday, April 1, Boulevard Kitchen is inviting friends and families to come share a brunch feast from 10:30 AM to 3 pm. Charcuterie, fresh pastries, salads, and classics such as Eggs Benedict and Nutella French Toast will all be on the menu. A carving station and fresh seafood including West Coast Paella and Clam Chowder is also an added plus to get your taste buds going. Boulevard Kitchen will also be offering a three-course prix-fixe Easter dinner from 5pm-10pm. The exquisite meal includes an appetizer of Spring Garlic Velouté, a main dish of Roasted Leg of Lamb, and will finish off with a dessert course of Passionfruit Mousse. All of this in addition to its daily à-la-carte dinner menu. Seating is limited, so make sure to make a reservation to secure a spot. Read more. Railtown Cafe and Wildebeest will both have something to offer on this fun-filled holiday. Drink specials, parties, and Irish inspired meals will all be on the menu at these two favored spots. 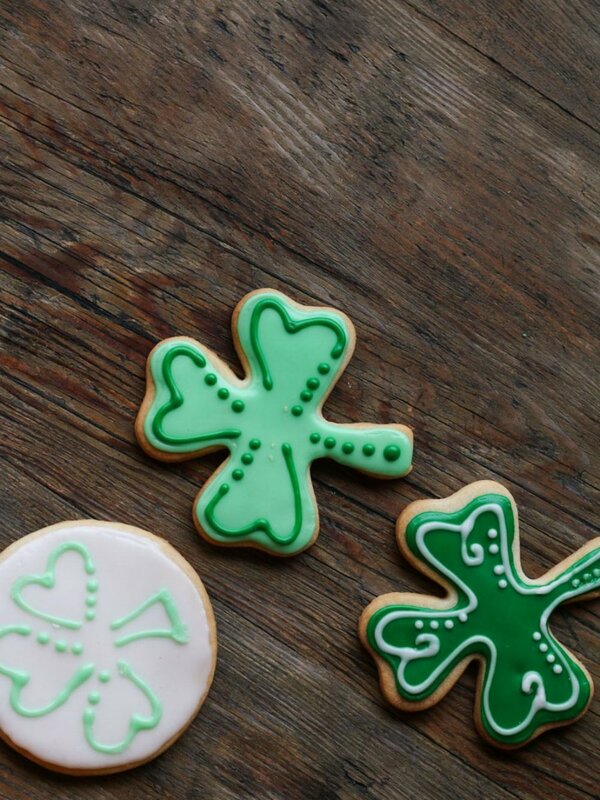 Railtown Cafe will be throwing a St Paddy's day party all day until 7pm at their original Railway St location. They will also be treating any guests with a valid Irish passport to a perfectly poured pint of Guinness and a shot of Jameson. Read more for all of their menu items. Wildebeest will be adding some Irish-themed dishes and drink specials to its regular brunch lineup — making it a great spot to visit for some hearty fare before continuing the St. Paddy’s festivities. 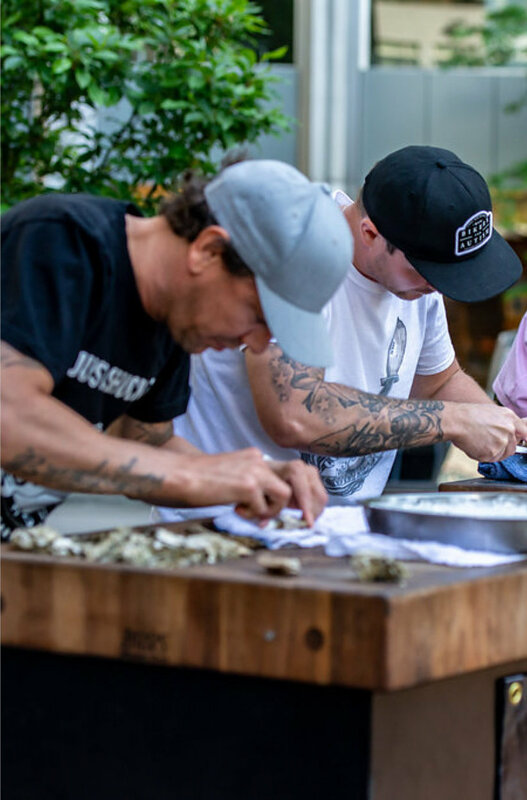 The winning team behind Gastown's L’Abattoir has officially opened the doors of Coquille Fine Seafood, its latest venture located only a stone’s throw away at 181 Carrall Street. Open for lunch, dinner, and late-night drinks seven days a week, Coquille (French for 'shell') serves up a bounty of fresh-caught seafood and shellfish dishes, a selection of hot and cold small plates, salads, sandwiches and crudos, seafood platters, and mains featuring the best of local land and sea. The beverage program, features an array of local craft beer, house-made cocktails, and a notable list of BC and international wines. Check out their website. Read more. Juke Fried Chicken will be treating brunch lovers to a selection of new daytime menu items available every weekend from 10 a.m. to 3 p.m. beginning this Saturday, February 17. The menu includes Chicken and Waffles, the signature Juke Breakfast Sandwich (pork sausage, egg, cheese, hashbrown on a biscuit), Biscuits & Sausage Gravy with Honey-Glazed Ham, Chicken Hash, with Soft-Boiled Egg, and more. Snacks inlcude add-on's like Buttermilk Biscuits, Hangover Fries, and Corn Chicken Fritters. Juke offers a special brunch drink menu as well, including Juke's Spicy Caesar and "the Breakfast Club" made with Bourbon, rum, cereal milk, and spice. Read more. This Valentine’s day join Au Comptoir for a Paris-by-way-of-West-Coast menu of quintessential French favorites, Boulevard Kitchen for a decadent five course meal prepared by Executive Chef Alex Chen and team, or a heart-shaped ravioli pasta course paired with a deliciously dreamy pink cocktail at Cibo Trattoria. For the bitter lovers out there, L'Abattoir has a Valentine’s Day cocktail created just for you. For couples wanting to fill their hearts and bellies with love, a four-course feast is available at The Salted Vine prepared by Chef Jeff Park, or head to to Wildebeest for locally sourced fare such as Duck Carpaccio, Seared Lingcod, and a dessert course of Earl Grey Panna Cotta for two. Mr. Haas will set hearts afire with new creations this Valentines day including Signature Gift Boxes, Truffle Hearts, Cupid Hearts, and more. Lastly, Chinese New Years is around the corner and this year marks the year of the dog, new creations such as "The Lucky Dog", and a "Good Fortune Mandarin Orange" will be available and more. Read more. Tacofino will partner with a six-pack of local breweries at its Hastings location to host a monthly series of five-course Beer Dinners beginning January 25 and continuing throughout the spring and summer. The list of participating brewers includes Red Truck, Tofino, Steel & Oak, Strange Fellows, Four Winds and Port Moody Brewers Row. Pairing Tacofino’s eclectic, Baja-by-way-of-West Coast cuisine with a variety of beers from each participating brewery, Executive Chef Stefan Hartmann and Head Chef James You create a custom, five-course menu in collaboration with each brewery. Read more. SMC Communications is a Vancouver-based public relations consultancy providing imaginative, influential and comprehensive marketing communications strategies for hospitality, lifestyle and consumer brands.